Ed Herbst: Portents of anarchy – A pre-arranged #RMF agenda? As we recoil from the charred countenance of our universities, gaze at the razed buildings, watch as flames ignited by those ‘burning whiteness’ consume the work of Keresemose Richard Baholo, it is worth analysing the financial and reputational costs of this vandalism which has been criticised by our Minister of Higher Education, Blade Nzimande. Apart from the long term consequences related to the disruption of the studies of tens of thousands of students and the cost of rebuilding our campuses, South African’s business community will be anxiously watching the progress of our Minister of Finance as he lobbies overseas for more investment. They know that every person meeting Pravin Gordhan will have read the above-mentioned article in the The Economist and they will be understandably anxious. We will each have our subjective views on the catalysts of the vandalism which the ANC has condemned but as someone who has for more than half a century been fascinated by the dynamics at the interface of politics and media I would like to use the Cape Times as a case study. The obvious catalyst was the phone call to this newspaper and eNCA by Chumani Maxwele on 9 March last year. But was there not another portent in the venomous campaign that the Cape Times, its editor Aneez Salie and reporter, Carlo Petersen have unceasingly waged in the past year? I’ll provide a dot and you can, in your subjective perception, decide whether it connects to other dots in the ensuing narrative. If I understand Survé’s rationale correctly, all the problems at UCT, and by analogy the country, could be solved by simply dismissing all senior white executives in the university’s administrative and academic administration and replacing them with black people? The denigration of Price and the University of Cape Town by the Cape Times increased exponentially after that and culminated, predictably, in the assault on Price – captured on a YouTube clip – and, subsequently, the torching of his office. Equally predictably the Cape Times carried no photographs of his assault nor of his burnt-out office and neither did it seek to interview him about this RMF conduct. In anathematising Price, the Cape Times has gone to the extraordinary length of publishing a defamatory fabrication which falsely sought to portray him as a dishonest person. Worse, when what seems to have been a calculated lie was exposed, Salie refused to apologise. Deliberately exacerbating the injury in order to do maximum harm to Price, the offending article, headlined ‘RMF activist’s charges dropped’ has not been removed from the IOL website. In the article Petersen specifically quotes a Cape Town lawyer, Peter Williams, as saying in court that Price had acted in bad faith, a statement that Williams, in a subsequent letter to the newspaper, emphatically denied making. If it was the lived experience of Petersen – that he heard Williams making this statement in court and saw his lips moving as he made the statement – then he must be a very disturbed person indeed. It is difficult to see this as anything other than a deliberately fabricated lie as part of a bigger and more sinister campaign. What is even more troubling is that, on the same day that the letter by Williams was published by the newspaper it also carried a letter from the UCT media department. This letter, the detail of which was not denied, pointed out that, in advance of the hearing, the department had emailed Petersen setting out the terms of the agreement between the university and Sulyman Stellenboom. 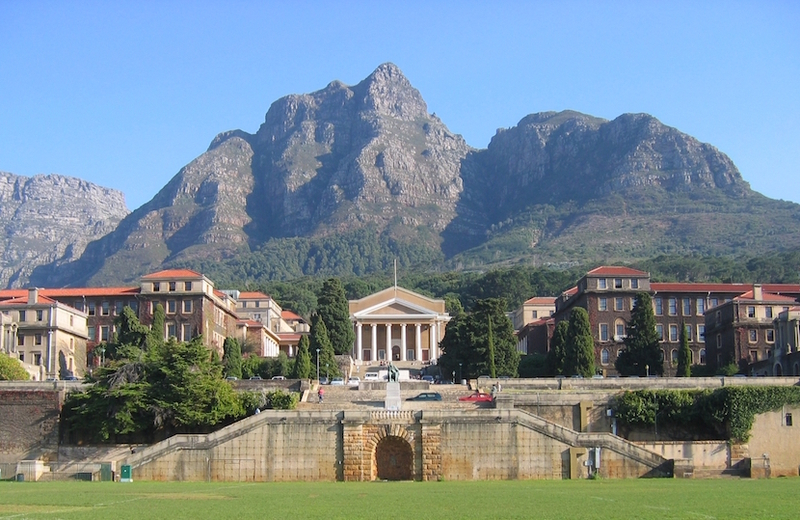 To sum up, Petersen had the full and detailed background to the case in advance of the hearing but nevertheless falsely attributed to lawyer Peter Williams a manifestly defamatory statement which portrayed the vice-chancellor of the University of Cape Town, Dr Max Price, as a devious and dishonest person. Petersen’s falsehood about Price is not what troubled me – it goes with the territory as I pointed out in my Politicsweb article, The Cape Times: hero to zero and in two previous articles. What I found most disturbing was the failure of the newspaper to apologise for this nefarious conduct which contravened almost every tenet of the Press Code of conduct for newspapers as defined and policed by the Press Council. I laid a complaint with the Press Council setting out my concerns. In his response when the Press Council referred my complaint to him, Aneez Salie made no attempt to deny the gravamen of my charge – that the newspaper had knowingly published a defamatory falsehood and then, when it was exposed, refused to apologise. Salie simply said that I had no locus standi in the matter. My Press Council intermediary in this process, Ms Latiefa Mobara, said the Council agreed with Salie on this legality as I had not been mentioned in the article and could thus not have been detrimentally affected by it. I accordingly had no option but to request her to drop the matter and the deliberately propagated deceit that Dr Price had acted in bad faith remains on the IOL website and deliberately so. What lies behind this Cape Times campaign and what motivates Aneez Salie and Petersen to thus routinely and irreparably damage the reputation of a once-respected newspaper? I’ll provide another dot and you can, in your subjective judgement, decide whether it connects in any way to the venomous vendetta by the Cape Times against the university and its vice-chancellor in the past year. Aneez Salie, the current editor of the Cape Times was an MK operative who was imprisoned and assaulted by the security police in the apartheid era. His former wife, Shirley Gunn, was also an MK operative who was taken into custody when she was pregnant after being falsely and deliberately accused of the bombing of Khotso House in August 1988. The consensus among many of the outstanding news reporters and subeditors who have been driven out of Newspaper House or have voluntarily chosen to leave the building since the Sekunjalo takeover is that this has apparently resulted in and drives an intense animus towards whites by Salie. Justice Malala, in his recently published book, writes: ‘To my shame I have kept quiet about what is happening at places like Independent Newspapers, where I began my career’. Would that more of his peers in general and Sanef in particular, follow the courageous example of Malala and break their complicit silence.